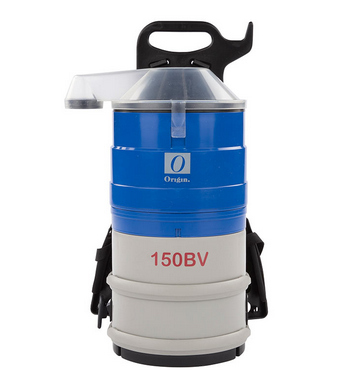 Origin 150BV Backpack Vacuum Cleaner is designed for commercial applications where quiet high performance is required. This backpack vacuum cleaner is a choice of contract cleaners, schools, government departments and healthcare facilities worldwide. Origin 150 BV Backpack Vacuum Cleaner is quiet, powerful performance, excellent suction, ergonomic comfort and operator safety with high levels of filtration; also helps to protect against damaging walls and fittings.